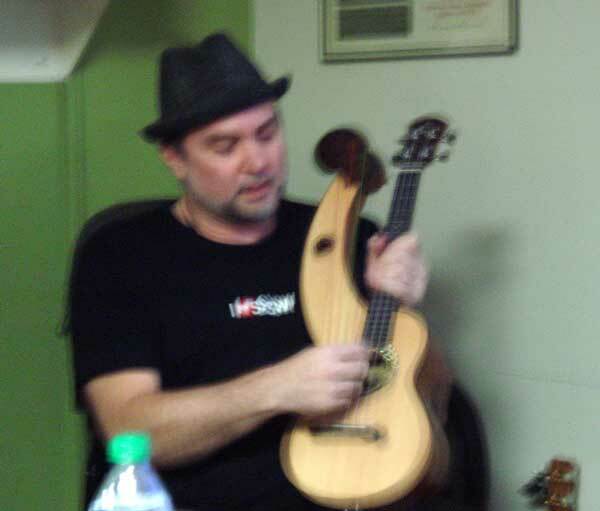 We had a great “open mic” (actually open non-mic, since we neither have a mic nor need one in that little room), in which we saw Tim Keough of UkuleleSecrets.org fame pull out a “harp uke” made by the Welshman Pete Howlett and aNueNue Ukes. (Apologies for the fuzzy photo–I (Walter) hope you get the general idea.) Tim played that harp uke, with its four extra low-pitched strings (for a total of eight strings), in a pair of great quasi-Japanese pieces of his own composition. Our next meeting will be held on Thursday, February 9, 7 – 8:30 p.m., once again at Central Market North, our usual strumming spot. Hope to see you there and see you then! 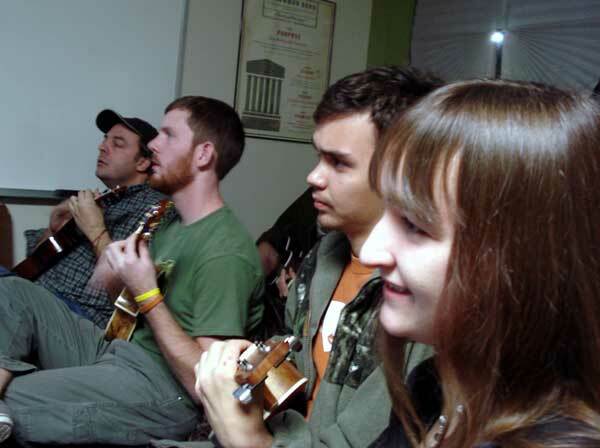 This entry was posted in AUS activities on January 14, 2012 by Austin Ukulele Society.